In this episode, I share a rig setup I use for documentary and interview shoots. For show notes visit www.DSLRVideoShooter.com. 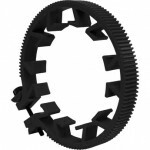 Below are links to where you can find the gear and accessories mentioned in the podcast. QuickTime File: DSLR Video Shooter Episode #004. Basically – are those two separate outputs on the Zoom H4N – in other words can you output the audio and monitor at the same time? 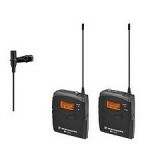 I use the H4n to record audio from the wireless lapel. And the rode shotgun mic is run into the camera. Then in post I sync up the two. The reason I record separate audio is because the 7D (And T2i for that matter) does not allow the user to control audio levels. While the H4n is recording I monitor it with the headphones. Nice video Caleb. Hey did you see the AGC bypass hack I created on my T2i? Yeah that answers it. For some reason I thought you said that you were feeding the H4N’s audio to the camera! Now that makes much more sense. I do exactly the same thing. 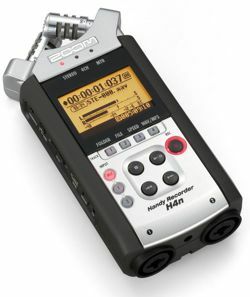 It might be interesting to try using some kind of audio splitter off the H4N so that in theory you could both monitor the sound coming off the lavalier with your headphones AND at the same time feed the audio to the 7D. In that situation you wouldn’t need the Rode unless you needed to record something that wasn’t mic’d up with the lavalier. I recently posted my audio workflow on Vimeo but it’s the same as yours. a great podcast you do! I’m all new to video filming with the DSLR, still use my gear mostly for sports fotography. But I always wanted to give it a try and wanted to start a project for quite some time now, only that I needed some technical advice and one or two ideas how to upgrade my equipment. And maybe you can answer me this one question: How do you sync the audio to the video file? Do you use any kind of production slate (there is an app for the iPhone I think) or is there any other trick to it? I guess it’s all a question of post production? Thanks for the comment Bernard, I really appreciate it. First off yes I use a production slate. Both a real one and one for the iPhone Here is the app I use (Episode on that coming up). As for syncing. You can do it manually by using the slate. I sometimes just use the first persons word than listen to make sure its synced. You can also use a software call Pluraleyes which automatically syncs audio and video together without any slating. Philip Bloom has a great tutorial here on how to do that. I hope that answers your questions. Let me know if I can help you with anything else! Thanks Dave! Yeah I did. I saw one guy talking about that once didn’t think much about it till your video. The only thing I don’t like about it is having to have an Mp3 player with you all the time. I also am madly in love with the quality of the H4n and its capabilities. I should give it a shot for myself. Thanks for the link! I am trying to wait as long as I can before I buy one, I know I will get one sooner or later. 1) I really want to be able to mount TWO Senheisser Wireless Receivers, plus the Zoom H4N, PLUS the Rode VideoMic…oops now I am up to 4 things and this unit only has three hotshoe mounts…is there a workaround you can think of? that was very popular back in the “olden days” of camcorders. I’ve got an email into them to see what they think can be accomplished. No no no. 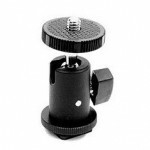 Attach it onto one of the 3 hot shoe mounts and put both receivers on it. 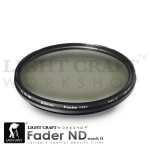 what about the filter LightCraft Fader ND, this is necessary ? If you want shallow depth of field outdoors, than yes it is essential. Why don’t you record the Rode mic into the H4n instead? Do you ever use the onboard mics of the H4n for ambience? Well for whatever reason my rode vid mic doesn’t give me the best audio. And most of the time the rode mic can be to far away for the best possible sound. So a lapel or wired XLR mic is the better solution in my opinion. But if one must be run-and-gun Rode into H4n is a good setup. 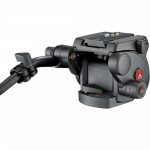 I never tried the VideoMic myself, but some of the other Rode products are pretty decent. Keep up the good work the these learning videos!!! Awesome podcast. Went to buy Tri-Mount, but it seems that it is out of stock everywhere and doesn’t look like they are coming back in stock. Any ideas where I could find it or a similar product? I want to mount three accessories. Thanks for all the help and the awesome podcasts. Thanks for the reply. Too bad they don’t ship to Australia. Love the site, keep up the good work. 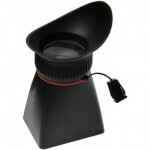 Wow, I’ve been looking for an inexpensive way to mount stuff on the top hot shoe, bummer they’re no longer available. I am afraid this is the next best thing. the links to the trimount is not working nor available. do you have any link that is working? Why do you not use the xlr cable from the seinheiser in to the h4n? 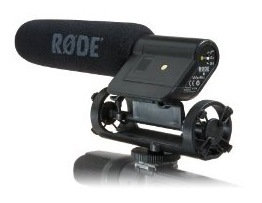 Also couldn’t the Rode shotgun mic be attached to the h4n giving higher quality audio? 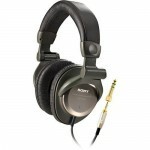 I lost my Sennheiser to XLR cable :) And the Rode mic doesn’t always offer the best audio quality for every situation. Just found your podcasts and I am enjoying them. 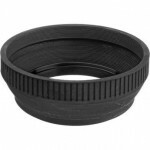 It is nice to know the less expensive alternatives for the gear. 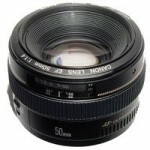 By the way, please keep in mind that some of us are Nikon shooters – so throw us a bone now and then. Yes I have been feeling guilty about the lack of Nikon love I give out… Maybe one day i’ll pick one up. I’m really a newbie, can you tell me what kind of setting that you’re using on your sennheiser transmitter and the receiver in term of AF out and in? I keep getting this background noise. Thanks in advance! 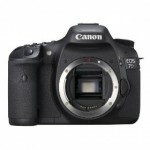 So, since the (T2i at least) has a limit of 12-minutes of video recording, how do you deal with that? caleb, what do you think about this setup? That a very complicated question. When doing interviews just find a good stopping point and restart the recording. If you are shooting events get a different camera ;) or use 2 or 3 cameras and enjoy the nightmare of managing recording cuts back and forth. Great video! Do you have suggestions now that the tri-mount is no longer available? I tried Amazon and B&H. Thanks! Thank you sir! Just ordered the 2nd one. I’ve looked on your site to read about SDHC vs SDXC, record speeds, etc. and didn’t find anything. That might be a cool topic to address sometime. Keep up the great work! Slowly learning and moving from pro-sumer video cams to DSLR. Thanks to you! I am super new to film and am anxious to start out. I do not have a big budget to start. I am looking for the essentials. I plan on doing a lot of interviews and documentary style filming. What camera should I start out with and what should I do about sound? use two LAPELs for the host and the guest. Will appreciate your advise.